“Go all the way. It could mean not eating for three or four days. It could mean freezing on a park bench. It could mean jail. It could mean derision, mockery, isolation. Isolation is the gift, all the others are a test of your endurance, of how much you really want to do it. And you’ll do it. Despite rejection and the worst odds and it will be better than anything else you can imagine. If you’re going to try, go all the way. There is no other feeling like that. You will be alone with the gods and the nights will flame with fire,”-Charles Bukowski. The mind of José Mourinho is something to marvel at. Between his fiery, tell-all press conferences, his shrewd in-game management, his cunning game plans, Mourinho has carved out a reputation as one of the most intriguing minds in football. He is a complex man whose continued stubborn approach has yielded less than pleasant results for Manchester United since taking over in 2016, but this wasn’t always the case. 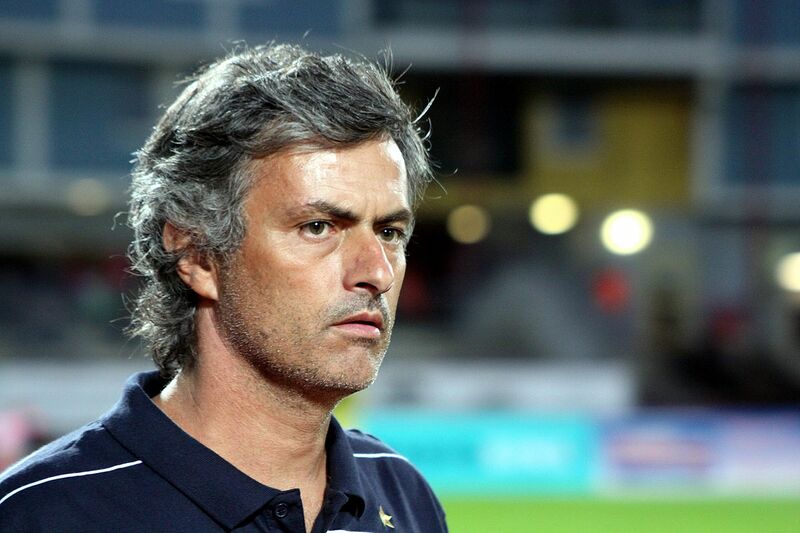 His stint at Porto established him as a revolutionary force, yet it was at Chelsea where Mourinho was truly formed. Arriving in the midst of a takeover, Mourinho brought everything which the English media would come to love. The charm, the prestige, the nous and the arrogance. It was clear that Roman Abramovich’s takeover signified a change, that a new English titan would soon muscle its way into being a perennial Champions League side, but in order to do so, in needed something else…a siege mentality. Nearly 12 months after becoming owner of Chelsea, Abramovich sacked Claudio Ranieri as manager, and replaced him with José Mourinho, fresh off winning the Champions League at Porto. He had new energy, a spirit that would live on despite the continued attacks by the media. Shortly but surely, Chelsea became the kings of England. Leading the army was the Portuguese himself, putting himself in the firing line to protect his players. The only weapons he needed were his brain and his mouth. Leading behind the pack was the ever faithful Old Guard, who carried out Mourinho’s instructions, and satiated their hunger for trophies. Chelsea would go on to take the Premier League by storm, winning back-to-back league titles, stunning opponents with a precise, merciless form of play that could only have been contrived by one man. After his glorious period at Chelsea, Mourinho would conquer Italy and Spain. Nothing was impossible for the genius. Yet, sooner or later, the brain deteriorated, the game evolved, and all of the sudden, Mourinho became a man despised by his dressing room, rather than loved. His particular failings became evident in his final seasons at Real Madrid and his last few months at his second spell at Chelsea, where his nous fell apart game by game, and where he alienated some of the squad’s biggest names. Mourinho is nothing short of a genius. He is, at his best, a manager that no team would like to play against. His intelligence knows no bounds, and history will remember that, even if those who cheer at his demise do not. He has sacrificed personal success, dignity and at times, his own body. He has been derided, mocked, and isolated. Yet, when it is all said and done, he will reside with the gods. Isolated with the gods, the flames will jump and crackle, and the soothing silence of the night will be broken only by the common chatter of the elite. There will come a day where Mourinho is completely isolated. He may not get another job offer, he may not have another player willing to work for him, he may not wish to work in management again, instead preferring to live the rest of his years in complete isolation. Still, he can take solace in the fact that he will never be truly isolated. José Mourinho shares the field with the gods.